Being Alberta’s most northerly rural municipality isn’t Mackenzie County’s only claim to fame. 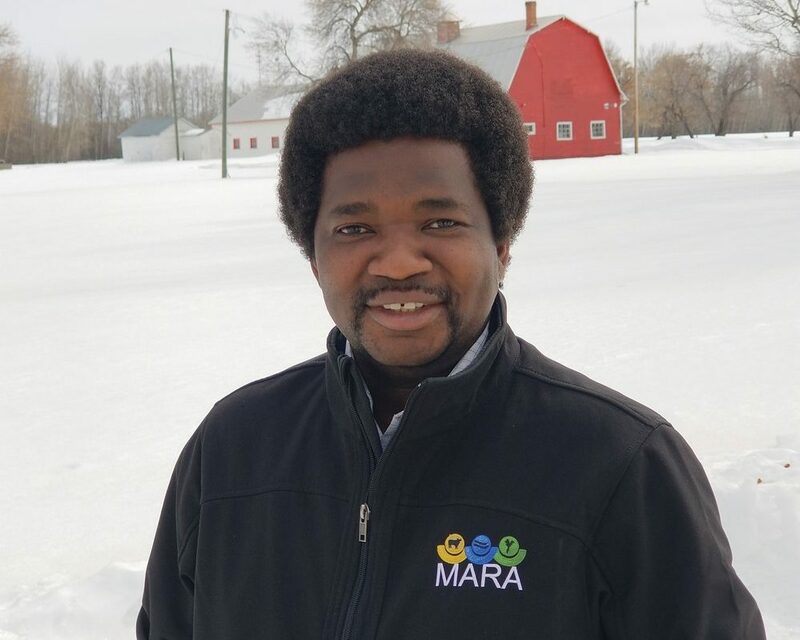 “Right now, Mackenzie County has the highest number of organic farmers,” said Jacob Marfo, manager and research director of the Mackenzie Applied Research Association, (MARA). And the region may soon have more. MARA and Organic Alberta, with support from the county and a regional development initiative, have partnered on a two-year, $330,000 program that will help farmers diversify into organic production, and assist those who are already involved in organics. “This training helps producers learn about issues related to agronomy and the environment,” said Marfo. The initiative, which began in November and runs for two years, has several components. The first workshop in the program, held last month, attracted 67 attendees. Some are already farming organically, others transitioning, and some are conventional farmers still considering a move to organic. According to Statistics Canada, 90 per cent of the people in Mackenzie County work in agriculture or forestry, so it makes sense to focus this kind of effort in the region, he added. More than half of Alberta’s organic producers live in the county. “The global organic market is now estimated at just under $90 billion, and Mackenzie County farmers are working hard to fill that demand,” Organic Alberta executive director Becky Lipton said in a news release. It’s also attractive financially for new entrants because the costs of inputs are lower and prices for organic grains are higher, noted Marfo. Part of the project will include testing to see which varieties have higher yields, greater disease resistance to diseases in the region, and generate the highest, long-term economic returns, he said. The program will also include a marketing component, with an annual buyers’ mission to the region, which is a seven-hour drive north of Edmonton. The organizers are also looking at creating a farm club, so members can get together to discuss issues and share ideas. The lineup for future workshops is still being developed by Organic Alberta and MARA. Organic Alberta will also be hiring a co-ordinator to lead the project.